Posted: Wednesday, September 12, 2018. 12:42 pm CST. 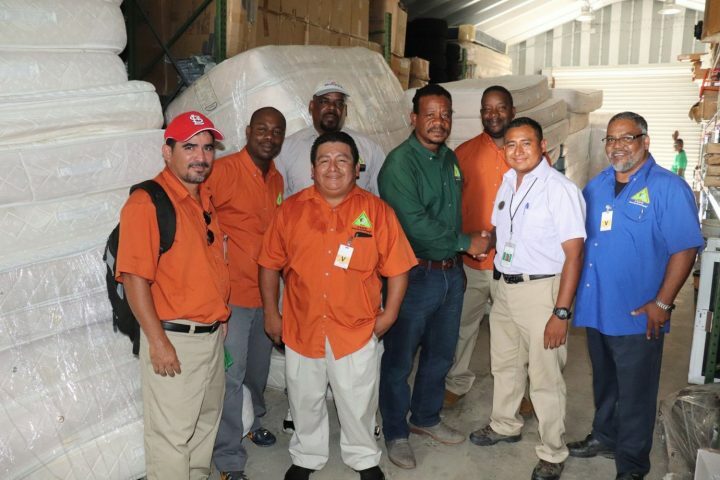 By BBN Staff: Minister of National Emergency Management Organization (NEMO), Edmond Castro this morning received a donation of seventy (70) mattresses from Norwegian Cruise Line and Belize Island Holdings Limited – owners and managers of Harvest Caye in the Stann Creek District. Presenting the donation to Castro was Felix Kukul, Assistant Health, Safety and Environmental Officer for Harvest Caye. Castro was accompanied by officials of NEMO in the South led by Regional Coordinator Keith Emmanuel. The donation was received at Malacate Beach in Independence Village.